Furianne: Blogmas 2016 - December 2: Shipping! Today was a not so busy day. We shipped out four packages, then sat on the couch and marathoned The Lord of the Rings. I surfed the internet and eyeballed some more sales, and we of course played some more video games. I raised some baby animals on Ark and, oddly enough, played some Minecraft. It's been a while since I've felt a hankering for that game, but something about its simplicity called out to me today so I went ahead and scratched that itch. Tonight I'm taking some more time to work on some blog posts before I potentially call it a night. I'm feeling tired a lot earlier than normal, so I may or may not have to crash early. Either that or I'll take a glorious bubble bath. How has your day been? Do you expect to ship out several packages this holiday season? 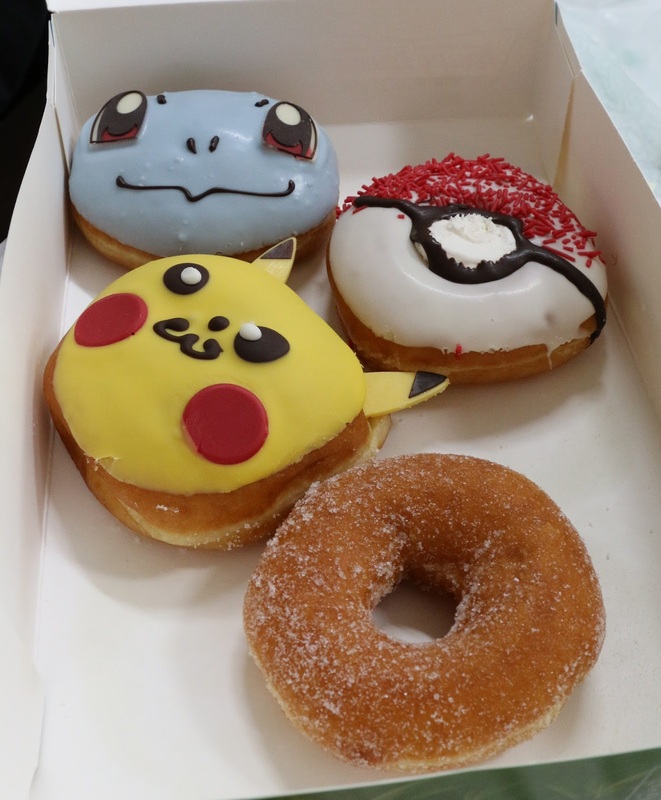 Love those Pokémon donuts!!! I have been shipping and receiving quite a few packages in November, trying to get everything done before the postal service becomes overwhelmed and slows down. I'm doing pretty good; just awaiting a few more Black Friday purchases. December 3rd was the last day USPS could guarantee Stateside delivery before Christmas, so I'm glad we dropped our stuff off on the 2nd. I'm sure the post office was packed on that last day! I love those donuts! So cute!